Hello lovely readers! It’s been a while since my last post (this is beginning to sound like confession). If you read Day 22 you may have noticed my lack of enthusiasm. Perhaps, in fact, it was staring you blankly in the face. I needed a break so I took some time out and now I’m refreshed, refocused and ready to pick up the blog again. Today’s chapter of The Purpose Driven Life was really interesting. I’ve just spent two weeks sorting through all my commitments and deciding which would stay and which would be tossed (because somethings HAD to go!). It slowly came to my realisation that even though I had a desire to be used by God and wanted Him to be my guide, my life was being run by a desire to please people. Oops. BIG oops. Nothing shapes your life more than the commitments you choose to make. Your commitments can develop you or they can destroy you, but either way, they will define you. Tell me what you are committed to, and I’ll tell you what you will be in twenty years. We become whatever we are committed to. Interesting thought hey. 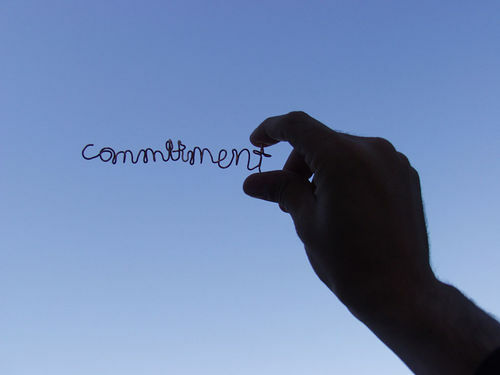 So what are you committed to? These aren’t necessarily right or wrong (except, perhaps the people-pleasing one.. that’s a bit of a killer). It’s something to think about though; we become whatever we are committed to. If you have a copy of TPDL, grab it off the shelf and flick through to chapter 23 – there’s heaps of great encouragement and inspiration on pages 179-183. I’ve only mentioned one of the things that struck me but there were many. Have you been challenged about your commitments? Are you committed to too much? Not enough? Let me know what you think, I love reading your comments and will always reply.